Opinion polls show the president conserving positive ratings of over 30 percent, in the midst of these gloomy months, and that indicates that there is an electorate out there which evidently does not vote just with their pockets. 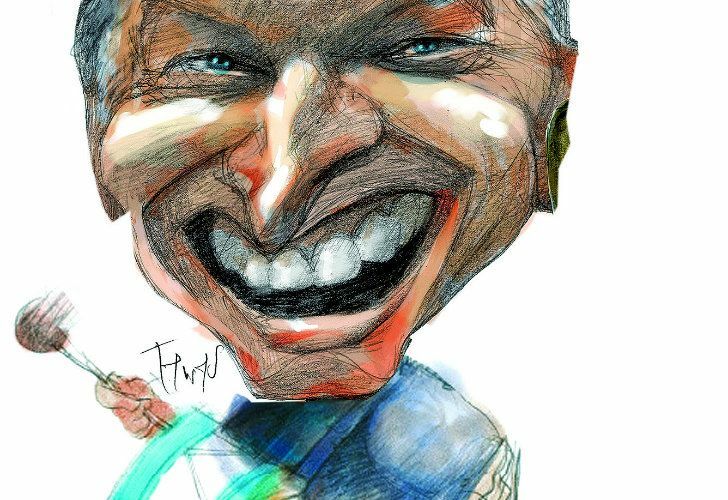 President Mauricio Macri has every reason to fear losing the next elections – he would not be in his right mind if he did not. How could he be sure of winning after four years culminating in the highest levels of poverty, crisis and inflation since 2001? If it were just the economy, he would be staring defeat in the face. Luckily for him, that is probably not the only thing which makes his potential voters tick. Firstly, a Cambiemos voter is not simply a Cambiemos voter. They are people with sometimes overlapping but also conflicting interests, who defend certain values according to their age or where they live. It’s a social alliance which is much more complex than those underlying Peronism or (far more) Radicalism, housing conservatives and progressives, pious traditionalists and new age militants, those for and against abortion, individuals with strong purchasing-power and slum-dwellers. A multi-class alliance where the economic results do not affect everybody equally and where Macri is not always judged by his unfulfilled promises. Because in their eyes there were also promises (tacit or explicit) which he kept. For example, such voters are just as convinced as their Kirchnerite counterparts that the government is behind the advances in the corruption cases aimed at Cristina Fernández de Kirchner. It makes no difference that Macri never tires of repeating that this is untrue – a majority are sure that the judges and prosecutors tread the government line and that the president is pushing these investigations. For Kirchnerites that is one more reason not to vote for him, while for anti-Kirchnerites it is a key factor in justifying an anti-corruption vote. Others interpret as an achievement the ‘manners’ of officials who do not yell, nor deliver ringing speeches endlessly, nor attack journalists. They are middle-class and upper middle-class sectors who believe that a friendly respect for the institutions should be the norm, but that in this country it is a virtue. They are the same people who hail opening up to the world, the G20 success, the criticisms against Nicolás Maduro and the recognition of Juan Guaidó as president of Venezuela. Or those who applaud the harsh barrages of Security Minister Patricia Bullrich in her media crusade against crime and drugtrafficking. Those are values which the gross domestic product does not measure but which mark the growth of a society for many people. The government says that it is precisely the sectors most receptive of such policies which are most affected by the crisis. According to calculations, the poorest can better endure the crisis thanks to the social welfare plans, a well-oiled government network of containment in low-income neighbourhoods and the benefits from some public works which have improved their standard of living. Meanwhile, Macri is not expecting too much from businessmen and those at the top of the social pyramid. Today he is feeling betrayed by those who did not support his “profound transformation” as they should have done, he maintains. But he is equally convinced that when the time comes to vote, they will remember what Kirchnerism meant and not be fooled by “false prophets” like Roberto Lavagna. To one and all he proposes his “This time for real” plan, urging them to believe that now the economic and institutional foundations for sustained growth are being laid. He will tell them that relative prices have been corrected after the devaluation, as can be noted in a positive balance of trade and a lower fiscal deficit. He will talk about the deregulation of the aviation market, the success of the low-cost airlines, the boom in domestic tourism, the Vaca Muerta shale phenomenon, the halt in the rising interest rates in the United States, the momentum from Brazil and the ideological shift in the region. In the final analysis, the fear of losing, due to the results of the economic GDP, will lead to a bid to mitigate this with arguments pointing to growth in the social GDP and the promise, yet again, of a better future. That the opinion polls show the president conserving positive ratings of over 30 percent, in the midst of these gloomy months, indicates that there is an electorate out there which evidently does not vote just with their pockets and the latest exchange rate for the dollar. The doubt is how long this faith can resist pockets and the dollar being strained every week.